Could the secret to improving health be…on your finger? This stretch Good Health Ring of pearl-like coated hematite stone features a center bead of rose quartz, which some say promotes healing. 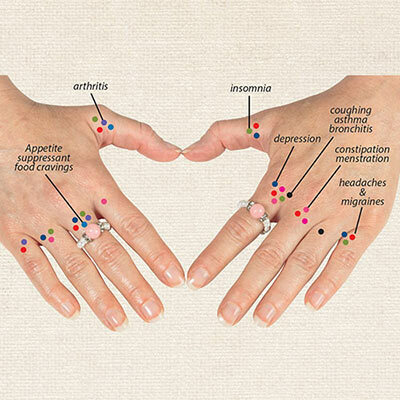 Wear on different fingers to help with different problems-may help with headaches, arthritis, menstrual pains, food cravings and more. One size fits most. Note: This product is not meant to diagnose, treat, cure or prevent any disease. Magnetic jewellery should not be worn by people who have pacemakers, are pregnant or are nursing.